I've long been a fan of Coronation Street. According to my mother, the first music I ever hummed along to was the theme from this long running soap, which came to life in 1960, a good year before I was born. I'd forgotten this, as I always thought ITV was banned in the household of my childhood. But apparently, I was brought up with Corrie. A self-confessed telly addict, I've dipped in and out of it over the years - watching it with my parents in the 60s and 70s and then gorging on it with my flatmate in the early 80s. In those early days, the sharp comedy provided by characters like Stan and Hilda Ogden and then, latterly, Jack and Vera Duckworth, were what I enjoyed the most. That regular delving into an 'Oop North' lifestyle seemed, to me in the rural West Country, as comfortable - and funny - as an old coat with tricks up its sleeve. Mr Grigg and I used to watch Corrie religiously. But then the humour diminished and the writing became flabbier. People you felt you'd known for ages suddenly did things that were completely out of character. And then the Pat Phelan storyline. Like the rest of the nation, it initially had me gripped. When would this evil piece of work finally get his comeuppance? Well, it went on and on and on. At the end of 2017, ITV decided in its wisdom to broadcast the soap six times a week - for a whole three hours. Episodes began to get sillier, samey and drawn out. But what finally turned me off it was the shocking death of one of the most likeable and honest young characters Corrie had seen for many years. When Luke Britton was brutally murdered by the villainous Phelan at the beginning of January, I decided there and then that I'd had enough of Coronation Street. 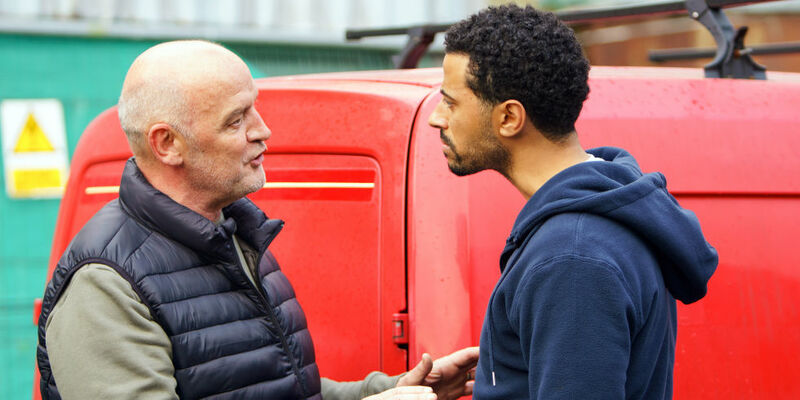 The nasty Pat Phelan (left) confronts poor young Luke. So I stopped watching the show. I was genuinely outraged that the programme makers could kill off a kind and decent character just for the sake of ratings. I was mollified slightly when I found out that Dean Fagan, the actor who played Luke, was actually leaving the show anyway. But I didn't like his exit one bit. 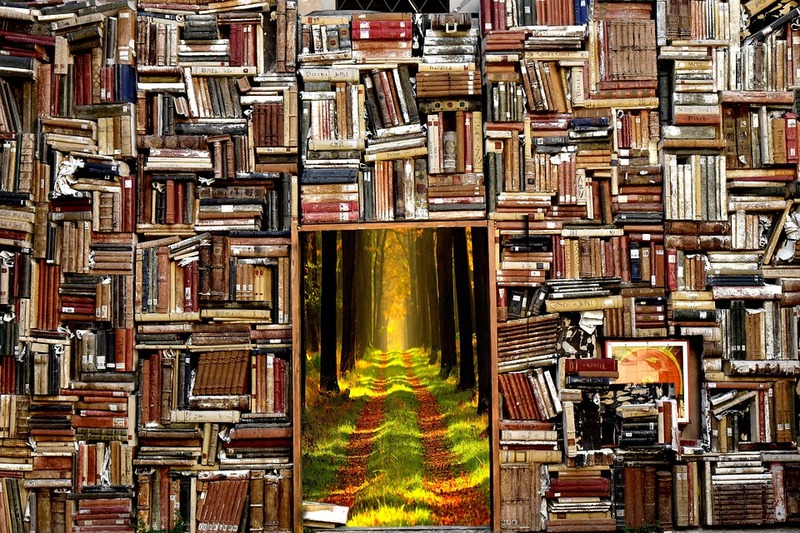 I was amazed at how deeply upset I was at the demise of a fictional character. It's only telly for goodness sake. I couldn't believe I felt like it. And then I confided in a friend in the village about my feelings. I knew she'd be a Corrie fan as her late husband was a member of the cast. I felt a huge surge of relief when she told me I was not being silly at all and that she'd stopped watching the show two years earlier when Kylie Platt was murdered on the cobbles. So now, when I hear that theme tune and Mr Grigg settles down to watch Corrie, it's my signal to go out of the room and read a book. Six hours of reading a week, all to myself. I just wish I'd done it years ago. 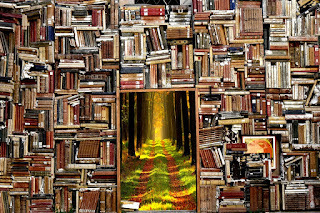 Books, the doorway to another world.